Clients charged with a DUI in Georgia are often confused about why they were asked to blow into a handheld breathalyzer at the early part of the DUI investigation, and then cuffed. Later the same driver is asked to submit to another type of more sophisticated police alcohol sensor, when they have already been arrested for driving under the influence. This “official” state-administered test is almost always conducted at a nearby police station in Georgia. 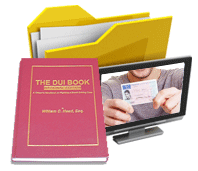 This article explains Georgia DUI laws as it pertains to being offered an alcohol blow test at the roadside. Don’t confuse these calibrated instruments with the type of personal breathalyzers you might see on a Facebook ad or in a Sharper Image catalogue, because the real ones cost between $800 and $1,500 each. While some jurisdictions (e.g., California in the 1990s) authorized police to use passive alcohol sensors to “read” the ambient air inside a vehicle once the window was rolled down, Georgia has never approved these for use by law enforcement personnel. All motor vehicle crimes are misdemeanors in the State of Georgia, since the Peach State does not have “infractions” like New York, Colorado and about one-third of our 50 states. Even equipment defects like a broken tail tight, a non-operational “tag” light or missing or non-working headlight are misdemeanor offenses that will support articulable suspicion for a law enforcement officer to use emergency light and siren to pull you over. 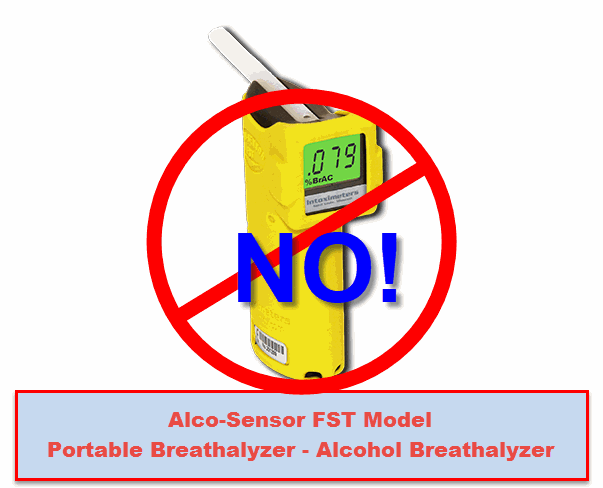 A PBT device like the Alcosensor FST used in GA is a non-evidential, breath alcohol test. This means that the police officer is limited to reporting that (after the DUI suspect acquiesced to testing) it either showed a “positive” or “negative” reading. 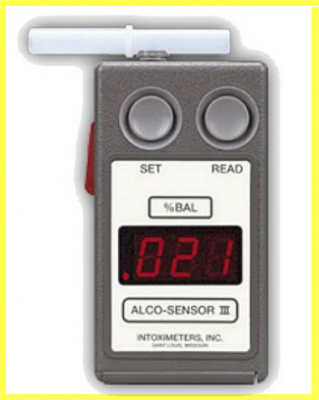 Since these roadside screening devices lack the same reliability inspections of the Intoxilyzer 9000, and do not “deliver” a printed result, the alcohol breath test results are not an “evidential” test of your estimated blood alcohol content (BAC). 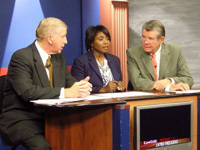 Mr. Head won a Georgia Court of Appeals decision in 1996, establishing the legal principle in Georgia that a preliminary breath test “number” cannot be admitted, even at a pre-trial motion hearing. Portable breath machines are not sophisticated instruments, like an infrared spectroscopy device. A simple electrochemical detector, coated on one side of a small “plate,” will react with alcohol molecules in a person’s breath. Using a software algorithm, the fuel cell “counts” the molecules that stick, and then generates a numeric result that is displayed, but is not supposed to be stated or shown on camera. Essentially, the more alcohol molecules that reach the “plate” of the fuel cell, the higher the reading. All the Georgia preliminary breath test machines use a “fuel cell” to measure positive ions on a small, coated plate which is about the size of a dime. A narrow, hollow, plastic collection tube leads to the sample chamber, and about 5 seconds of forcible blowing (like trying to inflate a balloon) is all that is needed to get a “reading.” The objective is to reach your “deep lung air,” and thereby get the reading that will be closest to your true blood alcohol content. 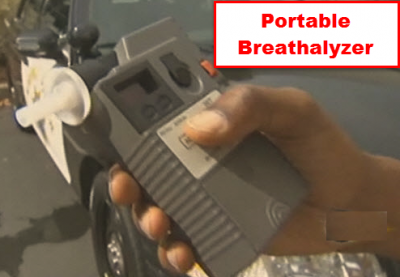 Should I Take the Police Breathalyzer Test at the Roadway? No, if you have had any RECENT alcohol or over 2 drinks in the last 5 hours. It is optional, voluntary and is NOT the official Intoxilyzer 9000 test that is only requested AFTER an arrest for a DUI in GA. Plus, if you “blow” into it, and NO reading is obtained for ethanol (drinking alcohol), most officers will then demand BLOOD from you, in their effort to justify your DUI arrest with a DUI-drugs charge, if something illegal shows up at the GBI. 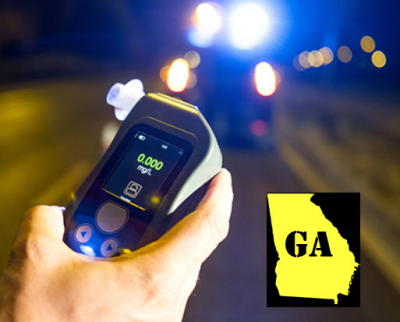 About 95% of all DUI GA arrests are tied to a moving violation of Georgia traffic laws. Other drivers may be stopped at GA DUI checkpoints near me or sitting or sleeping in a parked car or pickup truck. 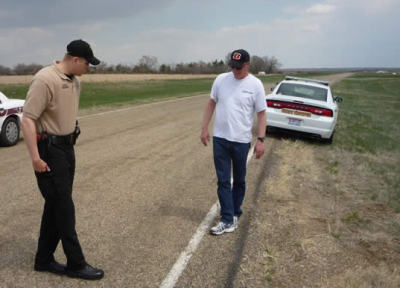 Police have been trained on how to FIRST offer a suspected DUI alcohol driver the “field sobriety tests,” as outlined under guidelines and a written training manual published by the National Highway Traffic Safety Administration (NHTSA). 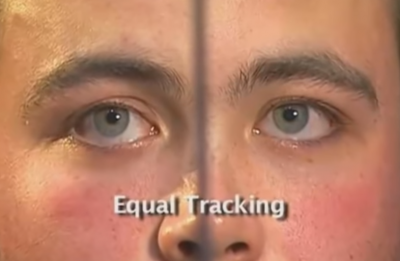 Properly-trained law enforcement personnel are instructed to try to obtain the three-test battery [the horizontal gaze nystagmus (HGN) eye tracking test, walk and turn test (WAT), and one leg stand (OLS) tests] BEFORE trying to use portable breathalyzers. In a nutshell, these three OPTIONAL and VOLUNTARY roadside screening evaluations should be DECLINED 100% of the time. Why? 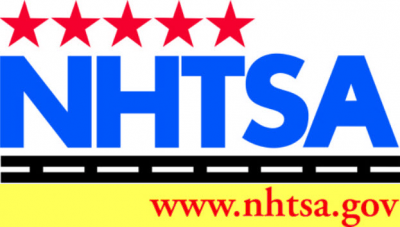 They are DESIGNED TO FAIL, because the average citizen lacks the balance and physical prowess to complete these considering the unnatural and bogus “scoring method” approved by NHTSA. Briefly, the non-medically trained police officer, who usually has a high school education, lacks enough refinement in “guessing” if you passed or failed. HGN eye test – even REGISTERED NURSES are not allowed to give and grade this medical evaluation, and NO physician uses it to judge alcohol levels in patients by looking at a stimulus held at maximum deviation. WAT – who tries to walk a straight line, heel-touching-toe, for 9 steps, with arms clasped to your sides, and then turns in an unnatural manner, and does the same nine steps back down the same imaginary line? OLS – one leg stand tests are the most commonly “failed” since the nervous test subject has to keep both legs straight, and lift either foot 6 inches off the ground, keeping the sole of the foot parallel to the ground, while staring at the toe of the raised foot, with arms clasped to your sides, and counting like this: “1001, 1002, 1003…” for thirty seconds. Once these have been TAKEN or declined, the officer should see if the driver might be willing to take an alcosensor FST (which is the roadside test, NOT the official breath alcohol test used for state forensic purposes). A DUI specialist knows the “limitations” of the Georgia-approved portable devices and can cross-examine an officer in a manner to create reasonable doubt of “reliability” of the breathalyzer’s reading. By way of example, a PBT breathalyzer can be calibrated using an aerosol tester, that helps verify that the fuel-cell equipment is displaying accurate readings. Results of any field sobriety test or tests, if the driver foolishly attempts to take them. Our lawyers in Georgia prefer to meet you in person, or by way of video conference. Larry Kohn, Cory Yager (an ex-cop) and Bubba Head are the DUI lawyers near me that have the credentials and experience to help you beat a DUI in the Peach State. We know the expert witnesses needed for trial, like Dr. Spurgeon Cole, retired clinical psychology professor. Payment in cash, credit cards, or by bank wire transfer. 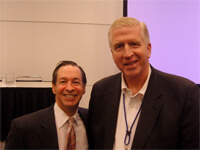 Get your FREE PDF copy of Mr. Head’s 430-page book, written for DUI clients. 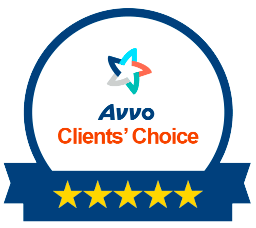 Call (404) 567-5515 for a FREE DUI lawyer consultation.